My email inbox was full last week with so many messages.The missives were not about matchmaking; they were about the announcement that Schitts Creek is calling it quits after the sixth season next year.Our family has a weird obsession with the CBC show starring Eugene Levy and his son, Daniel, the duo who created the popular comedy.My first husband and our kids even dress up as Schitts Creek characters for photos. 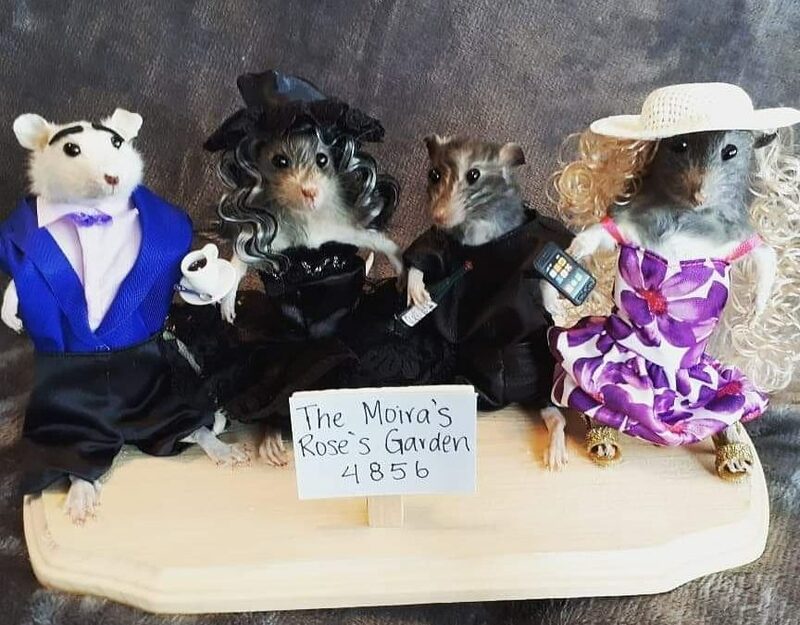 My daughter has a unique art taxidermy business and went so far as to create a rat taxidermy scene of the show’ characters — and they ended up being featured a couple of weeks ago on the Late Show with James Corden. Tuesdays will not be the same without Schitts Creek. I can’t imagine finding another show as special to fill its place. But of course I do realize that it’s just a TV show. What, then, does this have to do with matchmaking? Keep reading.I received an email from a young woman who wanted to learn more about this new, old-fashioned process of matchmaking. We were emailing back and forth to schedule a time for coffee. A few days later, I received these exact words from her: “Hey, Tara, guess what? I managed to find someone online, so I’m good for now.”Those words — “good for now” — stopped me in my tracks. Good for now? Seriously?She sounded like someone who was hangry and could not wait until dinner, so she had to have an afternoon nibble to hold her over. I am flabbergasted at some of the stories I am hearing about online dating. The computer really was a great place to find love 10 or 15 years ago, back when people were still a little embarrassed to admit they were doing it.Today, though, people are waiting in line at Save-On-Foods, swiping for dates until they can be checked out at the till. Have people really become this disposable?It’s one thing looking for a meal replacement or a new TV series to fill the void, but to try to fill your open month with someone to date just seems wrong. I know it’s spring and the idea of a new relationship blooming is tempting. However, consider joining Run Club or a book club, or going to Volunteer Kamloops — and reward yourself by giving back. Get out into nature and hike. Once you are feeling happy and ready to give the best of you to a partner, contact me.Relationships are hard work. They are not 50/50. They are 100/100. So, look after yourself first and then, when you are truly ready and nourished on the inside, contact me by email at holmes@wheretheheartis.ca. Meanwhile, I need to track down Daniel Levy and get him to reconsider. Ew, David!